Photos courtesy of Beautiful News, from Democratic Republic of the Congo to South Africa. 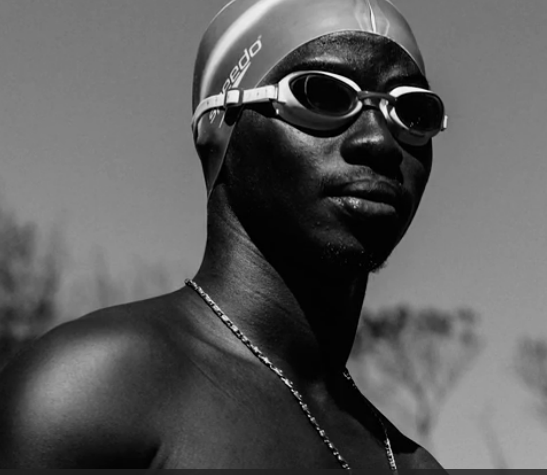 Congolese swimmer Arafat Gatabazi walked over 3,400 km (2,112 miles) through five countries from his native Democratic Republic of Congo to Cape Town, South Africa. When he arrived he was homeless and unable to swim. He learned how to swim and attempted a crossing from Robben Island. He failed on his first attempt, but he ultimately received the 2016 Open Water Swimmer of the Year from the Cape Long Distance Swimming Association. I'm originally from the Democratic Republic of the Congo. I left my country when the war broke up the end of 2012 between the rebels and the government. I got separated from my mother and had to come to South Africa to look for my Aunty who lived here as a refugee. I left my country with my two cousins and my sister. When we finally got in Cape Town in South Africa, we managed to get hold of our Aunty. She lived in a shelter where she couldn't accommodate us. My sister stayed with her because it was a female shelter. She took my cousins and me to the Social Development where we got a social worker and placed us in a street children's home called the Homestead. When we got at the homestead, life was not easy. The type of children who live at the homestead had little aspiration or no aspirations; they had become used to life on the streets and used drugs. Hope and escape came from different programs that we did at the Homestead. My escape came from swimming. We had swimming program every Thursday evening which was led by Marion Wegner who volunteered at the Homestead to teach kids to swim. My first time when I went for swimming, it was my first time ever to be in a swimming pool. 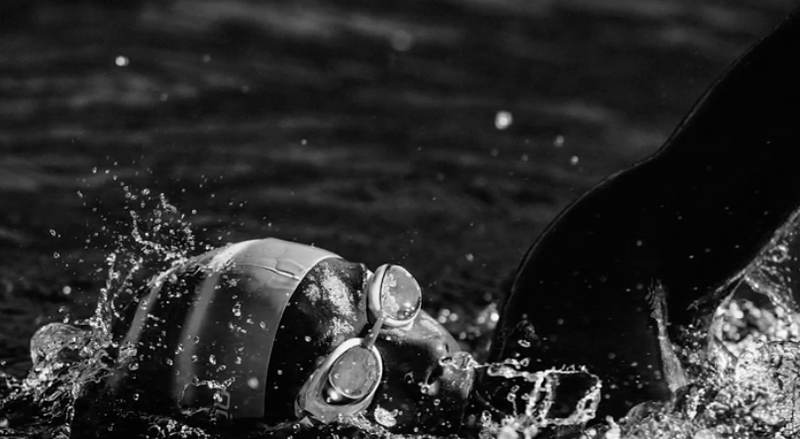 I couldn't swim at the time, but I enjoyed every moment that I spent in the water - it kept me away from the outside world and swimming helped deal with my past. I enjoyed it and used it as a healing process for me. Although I couldn't swim, I would just play around in the water with other boys. It went beyond playing in the water to wanting to learn how to swim properly. I started watching YouTube videos at the nearby library. The next swimming program that we had, I tried to swim butterfly. But with no luck, I was not able to do it. When Marion so what I was doing, she approached me and she showed me how to swim butterfly. I followed her instruction; it was very hard, but she continued to teach me every Thursday. Marion met Selwyn Davidowitz, a veteran open water swimmer who has swum from Robben Island a long time ago. Marion told him what she did with the Homestead boys. He was very interested in coming to see the swimming program. 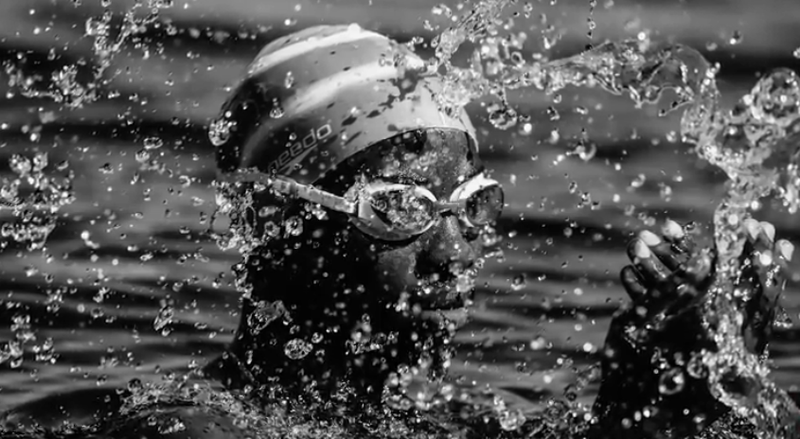 When they came, they had the intention to pick one boy from the swimming and they would sponsor him to train him to do the Robben Island Swim. That decision was in May 2013. The day they came, I was still at school and they picked another boy. When I got back from school, they told me what happened, how they picked one of the boys from the Homestead to swim from Robben Island to shore. I was surprised and thought that was impossible, but inside me I was wishing if I had been there, maybe they were going to pick me. I felt like I wanted to do it. They introduced the boy who they picked into a swimming club and provided extra swimming lessons with Maik Dierks on Saturdays. I asked Marion if I could also join a swimming club so that I can learn how to swim properly. She got me into the swimming club, the same one as the team that the boy they had previously picked. We went to training together, but he had extra swimming lessons every Saturday. He was getting better every time. One Saturday morning, I asked him if I can join him for training. He told me that he will ask Selwyn as he picked him up every morning to take him to swim. When Selwyn arrived, the boy asked him. Without hesitation, Selwyn said yes. I was happy that I was going to go train with him, but I didn't know what I was putting myself into or the swimming pool he trained in. The water temperature was about 18°C; it was my first time to swim in that cold when I entered the water to start swimming. I thought I got hit with a brick on my head, that is how cold I felt, but that didn't stop me. I swam for about 45 minutes. When we finished training that day, I was very tired. They told me that I can come with the [other] boy to swim every Saturday, as they thought I was a good influence on him. We kept training together for about a month or two. But he eventually gave up swimming and decided to go back to the streets. I got so worried when he stopped. I thought they would stop my Saturday training; instead, they told me that I can train to participate in the Robben Island Swim. I was both happy to receive the news and nervous at the same time. I trained harder than ever. It was very hard to get used to swimming in the cold water. After 11 months of learning how to swim, I tried my first attempt of swimming from Robben Island to shore. I didn't complete the swim; I got hypothermia with 1 km to finish. I was so disappointed because I didn't complete the swim. My intention was not to give up; the next day went back training. Four weeks later, I went to attempt the swim again and completed it in 3 hours 33 minutes.